Transportation, connectivity, accessibility, mobility – many terms point at a range of different perspectives on the phenomenon of transport. Mobility is essentially a basic human need and in economic terms transport infrastructure has to be considered as a conditio sine qua non for any kind of activity. In the past decade the so-called digital revolution has started to pervade road as well as rail transport meaning an increasing use of digital technologies in vehicle technology and – on the part of infrastructure – in traffic management, control and information systems. This study analyses the key challenges for Local and Regional Authorities (LRAs) in developing a long-term, structured industrial policy, with a global view. The policy should promote structural change and raise the industrial contribution to GDP to the 20% target set by the European Commission (EC) in December 2014. New means of production incorporate a mix of processes located in both highcost and low-cost countries and are based on a wide range of factors enabled by technological developments. Significant changes in consumption are increasingly driven by individual needs which are more sensitive to social and environmental aspects. Together these require a more flexible, hybrid and servitisation-oriented industrial paradigm. The way LRAs can guide this shift strictly depends on their ability to combine strengths in traditional sectors with innovative trajectories of industrial development in dynamic new sectors. 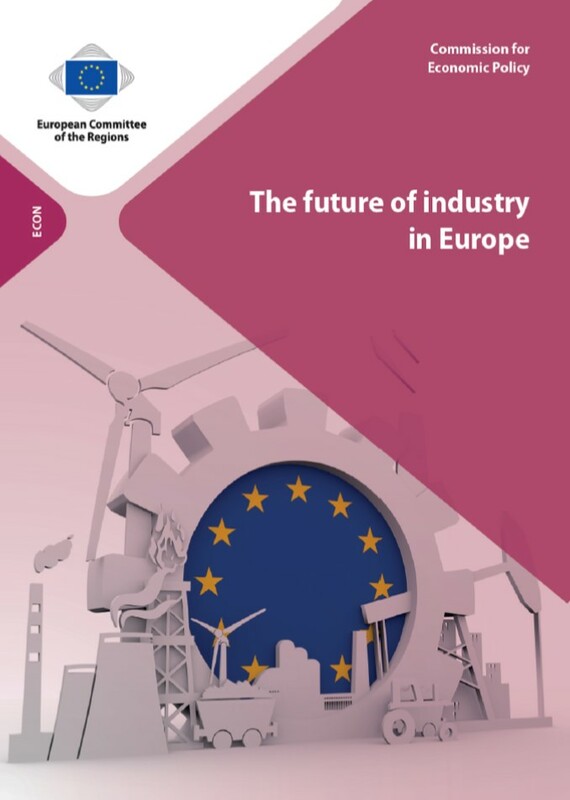 Faced with a growing complexity of industrial challenges, LRAs are called on to design and implement a systemic industrial policy coordinated with national and EU level policies, pulled by vision and pushed by competition. New means of production incorporate a mix of processes located in both high-cost and low-cost countries and are based on a wide range of factors enabled by technological developments. Significant changes in consumption are increasingly driven by individual needs which are more sensitive to social and environmental aspects. Together these require a more flexible, hybrid and servitisation-oriented industrial paradigm. The present Report offers ideas on how to shape the forthcoming period of Community support beyond the year 2020. 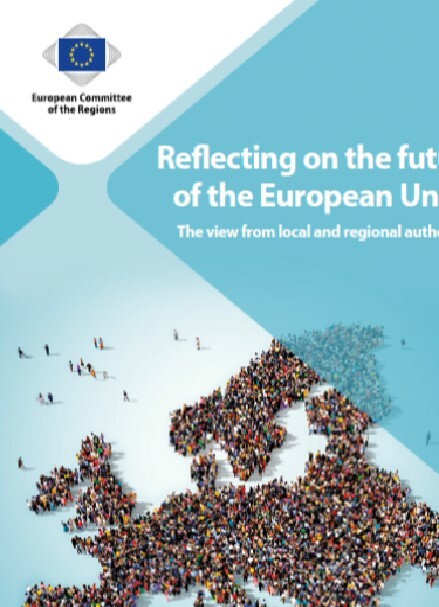 The analysis builds on the report “The future of Cohesion policy – Report I” which reflected on the challenges and developments at the local and regional level, focusing mainly on the efficiency and effectiveness of implementing Cohesion Policy (CP). The present Report looks at concepts and models of CP (mainly its territorial dimension) and points out the main current challenges that are most likely to shape the future economic, social and territorial structures. This second Report in the study series offers ideas on the future of CP. It is structured around two main parts, the first on models of growth, cohesion and well-being, and the second on new ideas and choices for EU CP. Thus projections and assumptions – in particular in the third section of the Report – are of a long-term nature. The present Report largely builds on an extensive desk research including a comparative literature review as well as relevant analyses and reports carried out by the authors of this paper. In addition, the analysis is fed by the results of an online survey carried out with stakeholders who took part in the seminars on the future of CP. Finally, independent interviews were carried out with relevant stakeholders with deep insight and considerable experience in the field of CP. Good governance is based upon foresight that allows decision makers to make informed choices. The Committee of the Regions (CoR) has turned to strategic foresight to anticipate the forthcoming changes within the EU political system. 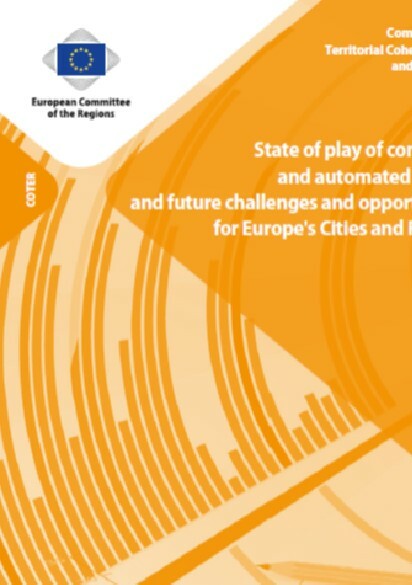 The exercise is a second step in strategic foresight at the horizon of 2025, which follows the report on the future challenges facing the CoR and European local and regional authorities (LRAs). The aim of this second report is to address the CoR’s future role and institutional positioning within the European political architecture. 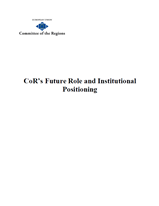 It draws up five future-based scenarios with predictions about the evolution of the CoR's institutional and political role, its associated powers and relations with other EU institutions and stakeholders. For each scenario, the report analyses the consequences for the overall EU institutional setup, the evolution of parliamentarism, the supranational decision-making process and the CoR mandate.